I got a letter from the administrator of my pension plan which informs me of changes to required funding. The letter, which is required by the “Moving Ahead for Progress in the 21st Century Act” and the “Highway and Transportation Funding Act of 2014,” states that these Federal laws changed how pension plans calculate their liabilities. Prior to 2012, pension plans determined their liabilities using a two-year average of interest rates. 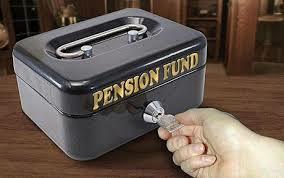 Now pension plans also must take in to account a 25-year average of interest rates. This means that expected interest rates likely will be higher and plan liabilities lower than they were under prior law. As a result, employers must contribute less money to a plan at a time such as now when market interest rates are at or near historical lows. This appears to be a very good thing for my former employer who saved almost $700,000,000 in 2014, hardly chump change. It may be a good thing for the economy, if the corporation invests the savings in the business. It may be a good thing for the Treasury, if corporate tax receipts increase. But is it a good thing for the pension plan? Under prior law, required contributions are high when interest rates are low. Under current law the required contribution is low even though interest rates are low because interest rates are expected to rise to reflect the 25-year average. This should be fine if interest rates do rise, but what if they don’t? Corporate funding not contributed this year may lead to a shortfall in the future if interest rates remain low. I am confident that my pension plan is still well funded, but it is disturbing when politicians require reduced funding which will need to be made up in the future. All should be good in the long term if current low interest rates represent a fluctuation rather than a trend. This entry was posted in Congress, Economics, Political, Seniors and tagged Moving Ahead for Progress in the 21st Century Act, Moving Ahead for Progress in the 21st Century Act" and the "Highway and Transportation Funding Act of 2014, Pension plan, required funding. Bookmark the permalink. That’s not the kind of news any pension holder would want to read. What is surprising is that many Republicans didn’t love the Act, and all Democrats did. Map-21, “Moving Ahead for Progress in the 21st Century Act,” was a “must pass” bill. Democrats and moderate Republicans favored at least some of the projects which they needed to fund without raising taxes. Right-leaning Republicans had no use for any of it, of course.